Previously we have defined what planning is about; the major focus was to learn the terms and fundamentals of it. In this part we will be analyzing some of the techniques of planning in order to help you choose the most suitable for your business needs. It consists of decomposing processes, functional areas, or deliverables into their component parts allowing each part to be analyzed independently. The provided WBS example is organized by phases, but it can just as easily be prepared by product module, component or even by organizational structure. It really depends on the project, your preference and the structure of the team and their preferences. Creates a conceptual model of the work required to deliver the new business solution. Provides all stakeholders with a consistent scope of the effort. Estimates can be made smaller, and therefore more readily understandable, subsets of the whole. There is no way to be certain that all components have been captured. Decomposing a problem without fully understanding the relationship between pieces of the problem may create an inappropriate structure that impedes analysis. It forecasts the cost and effort involved in pursuing a course of action. It is commonly used to develop a better understanding of the possible range of costs and effort associated with any initiative; estimation is used when it is impossible to determine this range. 1.Analogous Estimation (top-down): use of a similar project as the basis for developing estimates for the current project, it is used when little is known; therefore it is usually done at the beginning of the project. 2.Parametric Estimation: consists of the use of parameters, multiplied by the number of hours. For this enough data history must be available to be used as a basis of comparison. 3.Bottom-up Estimation: when using this technique the business analyst has collected the deliverables, activities, tasks, and estimates from all the involved stakeholders and rolls them up to get a total for all the activities and tasks. Because it is normally easier to estimate smaller items than larger items, bottom-up estimating can produce the most accurate and defensible estimates. 4.Rolling Wave estimation: this is a technique involving refinement of estimates; it is used to estimate the details for activities in the current iteration or increment and provide an analogous approximation for the entire scope of work. As the end of the iteration approaches, estimates for the next iteration can be made and the initial estimate for all activities is refined. 5.Three-point estimation: it uses scenarios for best-case scenario (could also be the most likely estimate under the right circumstances), worst-case scenario and the most likely estimate (not necessarily an average of best and worst case scenarios). It requires in depth knowledge of the situation. 6.Historic Analysis estimation: It is similar to analogous estimation, but is used not only for the top-down estimate, but for the detailed tasks as well. It requires prior project records, whether maintained formally in a project repository or informally in individual project documentation. 7.Expert Judgment estimation: In this case estimating relies on the expertise of those who have performed the work in the past; these experts can be internal or external to the project team or to the organization. Can help stakeholders make better decisions based on an improved understanding of the likely outcomes from an initiative. Stakeholders frequently treat estimates as commitments, and expect that once an estimate is given the solution team will meet the time and cost estimate. We still have two more techniques to talk about, but by now you should be feeling more confident about planning and can start planning some simple situations to test them, try planning your own workflow for tomorrow using one of them and see how it turns out. 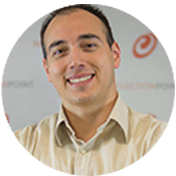 Sergio has 10 years of experience in the industry and a great trajectory in business analysis. He has a major in Computer Systems Engineer and was born in Villahermosa, Tabasco. Among his hobbies we can find manga, video games and sports and more recently motorcycles. He has written very helpful posts from the business side of IT you should read.